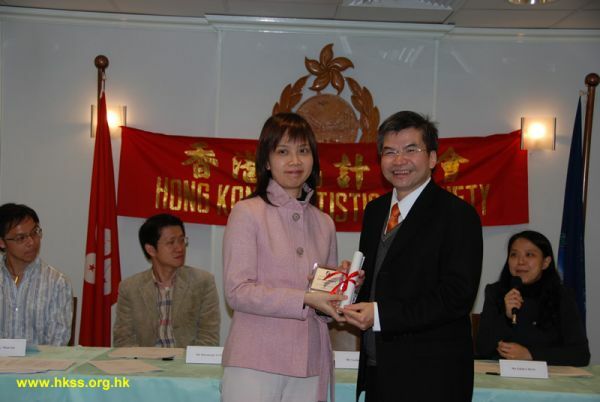 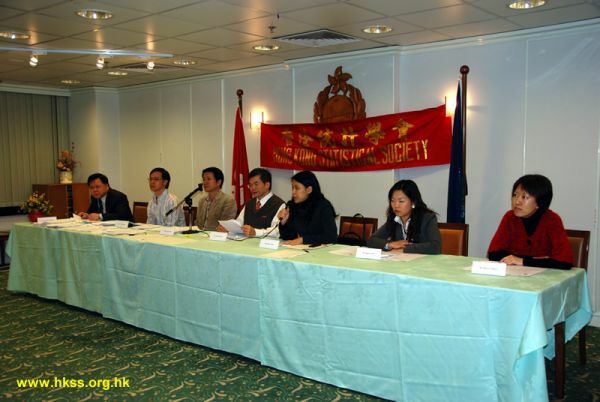 The Annual General Meeting (AGM) was held on 31 March 2009 at the Immigration Tower. 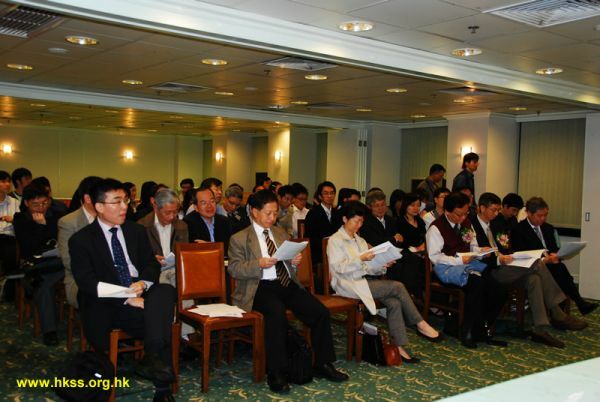 Some 60 members had attended. 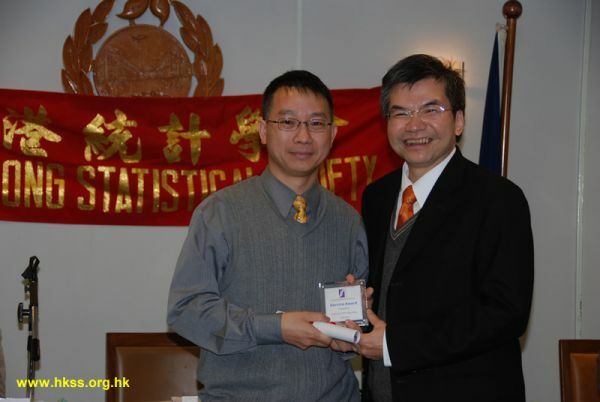 the Honorary Membership for their significant contributions and excellence in statistical work. 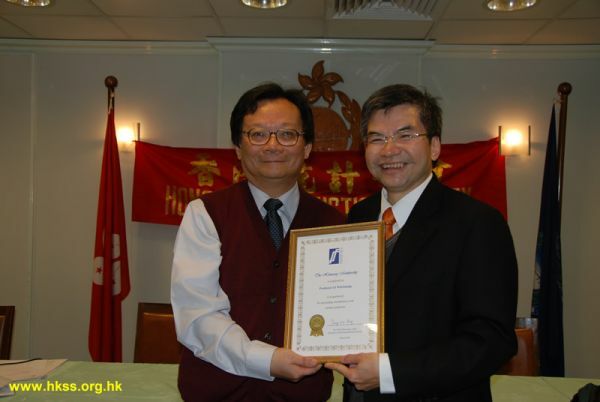 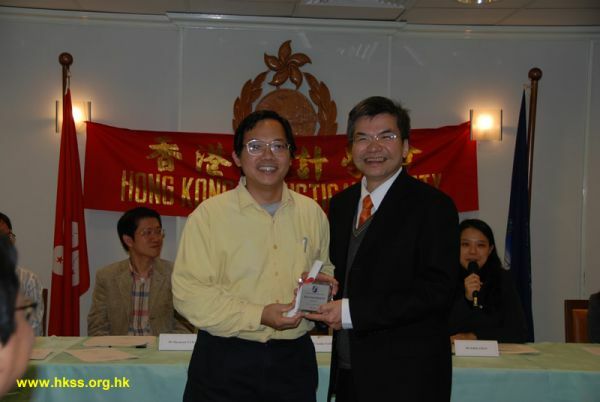 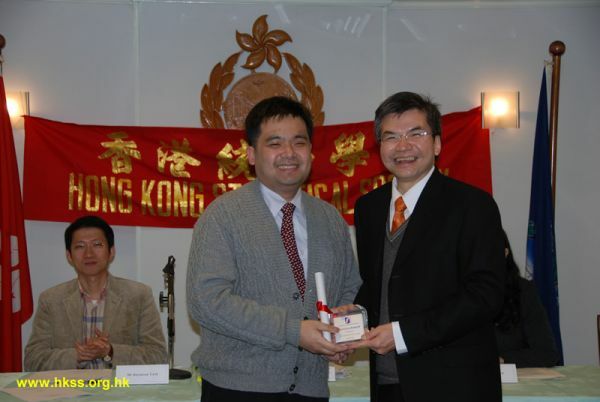 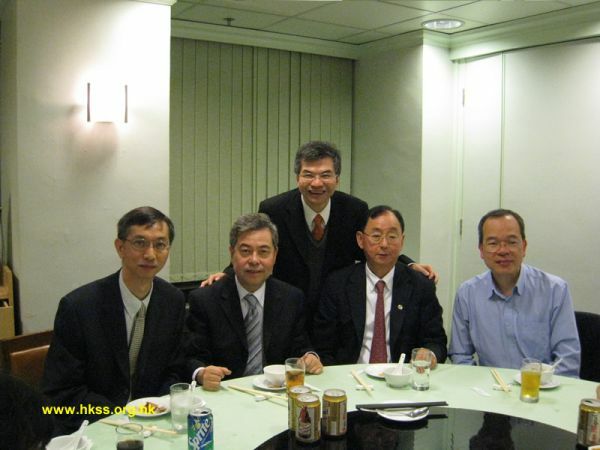 Besides, six members were granted the "Hong Kong Statistical Society Service Award" in recognition of their sustained and/or significant support to the running of HKSS and its activities. 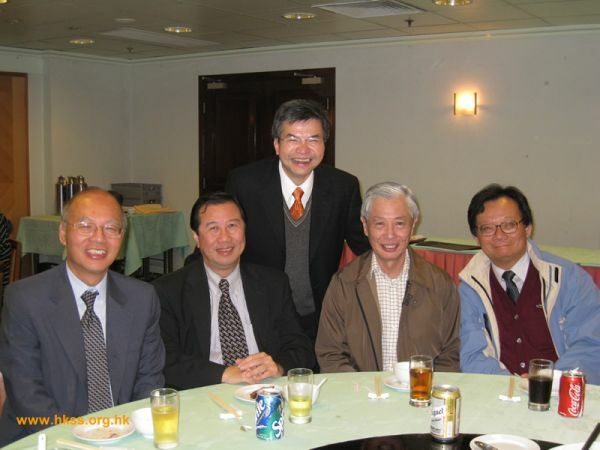 After the AGM, a dinner was organized for members and participants had spent an enjoyable evening. 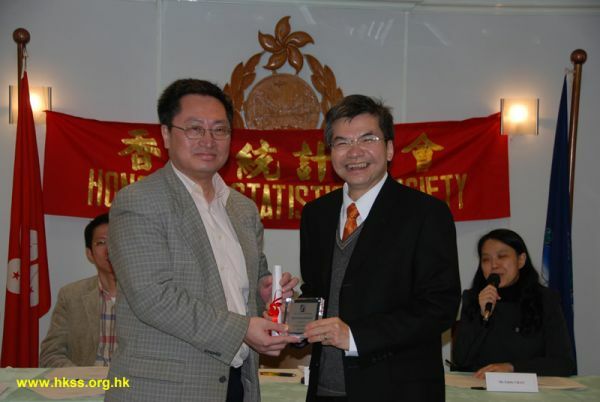 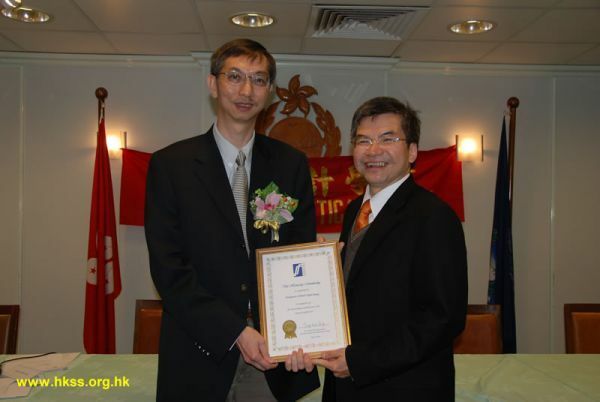 * Professor Chan Ping-shing also received the Hong Kong Statistical Society Service Award but he was not able to attend the ceremony due to other prior commitment.